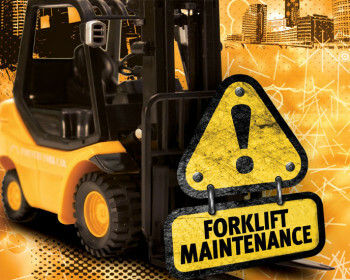 Forklifts are no different to any other vehicle really as they too need regular maintenance and lots of TLC. It comes as no surprise that just as other vehicles need regular maintenance and repair so do forklifts especially as they get older or are used regularly. They will get wear and tear there is no doubt about it and it’s completely normal and you will have to carry out routine checks on your forklift to make sure it is in good working order and doesn’t require any repairs. If you do discover that your forklift does need repairing then fear not as it isn’t as difficult as you may imagine it to be, as long as you notice the issue as quickly as possible then you ,may just catch the problem in time before it may become a more serious issue. Keep those tyres in check! As a forklift operator this could possibly the most important check you can carry out on your forklift. Check they tyre pressure as this will avoid any accidents and will assure the proper usage and will also maximise on the gas output. If your tyres are under inflated then this could result in poor traction which will in time result in accidents. If however your tyres are over inflated then this can cause them to blow out and will end up putting your forklift out of service for quite a length of time which would be most inconvenient to you. Make sure you have a tyre gauge handy with you and check on the tyres once a week and inflate them to the right pressure so that your forklift is in good order. Oil change every 3 months! When you change the oil on a forklift is really is the same as changing the oil in a car, regularly changing the oil will help your forklift to last much longer and keeps it in good working order. It is recommended that you change the oil in your forklift every 3 months to prevent any issues from arising. This will result in an increase in your fuel economy and will improve the forklifts overall performance and will also prevent engine problems. Watch out for antifreeze levels! If your forklift as too little antifreeze problems can occur as it can end up overheating or even freeze. It can occur at the most inconvenient of times and it may be carrying a heavy load. So to avoid this potential problem from occurring always check on the antifreeze level and top up if it’s needed. You must inspect the antifreeze reservoir and also the radiator for any leaks that may be occurring as this too can cause reductions in antifreeze levels. If you do happen to discover a leak then install a new radiator or it could be a case of just simply plugging the hole. Having issues with the brakes on a forklift could have potentially serious consequences. If you happen to notice brake issues then get them sorted immediately as if the brake keeps on getting softer and softer and then you as the operator has to push even harder on them this means problems are occurring and something needs to be addressed ASAP. If you do need to change your brake pads or callipers it only takes a few minutes to do so but will ensure that your forklift is safe to use and there will not be disastrous consequences. Failing to do this can result in very serious consequences and potentially death. Make sure you really max out on your warranty. Although they are very rarely used they can be extremely useful and are very helpful when they are required. Your forklift warranty will ensure that any part is covered for a specific amount of time or mileage. Some warranties do last a lifetime and will replace any faulty part on your forklift for the duration it is being used for. Your forklift warranty may cost more in the beginning but in the long term it will save you lots of money if things suddenly start going wrong with your forklift and expensive parts need replacing. So there you have it I hope I’ve provided you with some helpful tips on how to look after your forklift and to make sure it stays in tip top condition for as long as it can, The checks are quite straightforward to carry out but could end up saving you a fortune on costs if problems more serious arise.